Posted on September 10, 2013 at 10:50 am. As we talk more and more about Inbound Marketing or Content Marketing solutions to clients, we have realised that the starting point is a really clear definition of Inbound Marketing. We find that a great starting point is Hubspot. They are the world leaders in Inbound Marketing and define it as ‘’a holistic, data-driven marketing strategy that involves attracting and converting buyers (who are seeking your product or service) into customers. It does this through personalised, relevant content when its most needed– not interruptive messages – and following them through the sales funnel with on-going relevant planned engagement’’. Over the past several years, HubSpot have found that marketers are witnessing a significant shift in strategy, from campaign-based interruption marketing, to a consistently measured, closed-loop Inbound Marketing strategy – one that pulls interested customers to your company and creates lasting relationships. This new shift follows the increasing power held by consumers to research and interact with brands, companies, and service providers on their own terms and to extend their experiences (good and bad) to the connected world through digital word of mouth. Traditionally, the difference between Sales and Marketing is that Marketing owns the message and Sales owns the relationship. 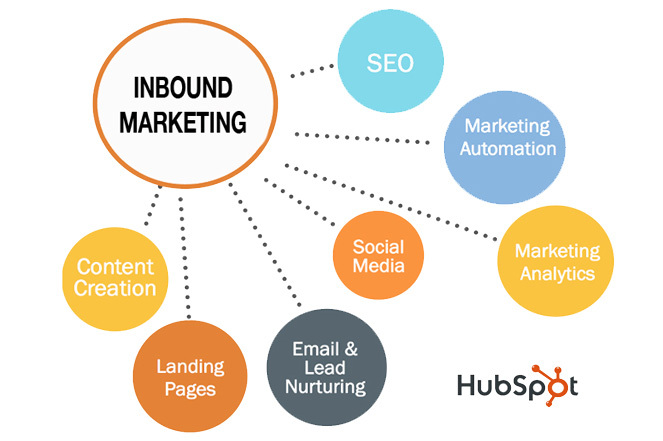 Inbound marketing merges these. We have finally found a way of delivering science to the marketing discipline. If you would like to learn more on how to set up and create a superior inbound marketing campaign email us today.